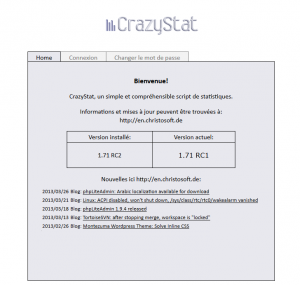 CrazyStat has been translated into French! My OpenSource PHP analytics script CrazyStat has now been translated into French! 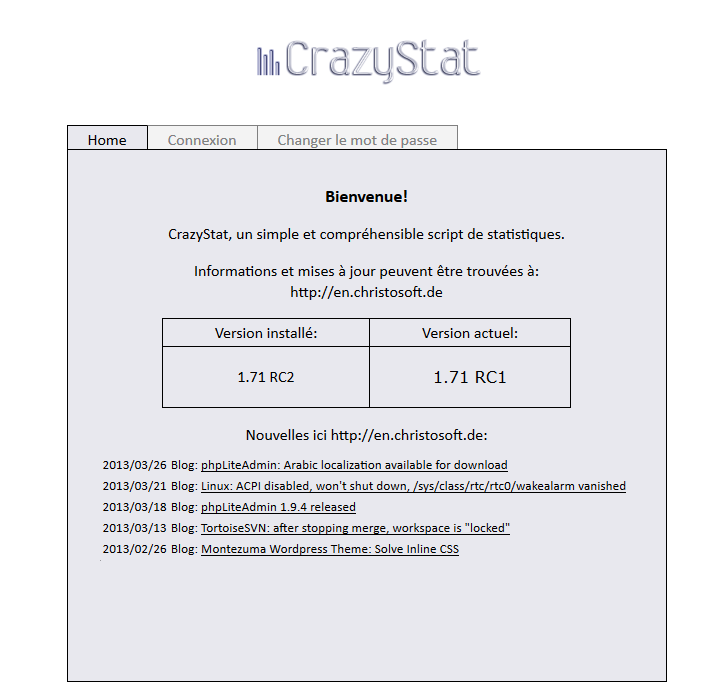 Thanks a lot to Yannou90 who translated CrazyStat into French and posted the language file in the forum. You can currently download the translation file from SVN (click “Download this file”). Just drop the file in “stat/src/lang”. I hope I will finally find the time for the next release where the French file will be included of course. This makes CrazyStat now available in English, German, French, Russian, Danish, Dutch and Portuguese. A Croatian translation has been mentioned in the forum, but not made available so far. Thanks everybody for translating CrazyStat! Update: Some corrections to the language file have been done. The link above now points to the latest version.